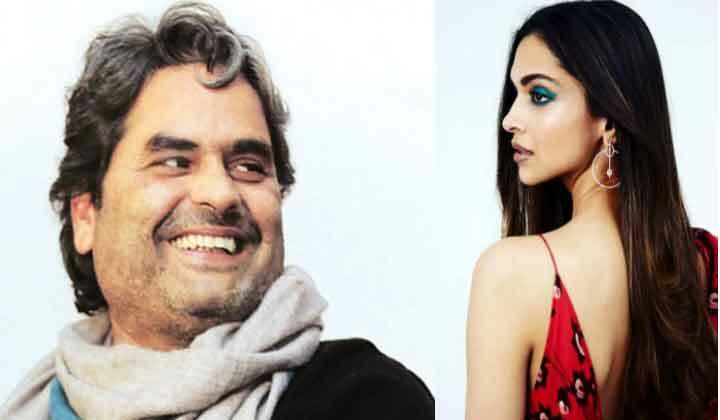 Filmmaker Vishal Bhardwaj said he is looking forward to work with Deepika Padukone in his next directorial venture. The “Haider” director has stepped in to direct Irrfan and Deepika in his next, which was earlier supposed to be helmed by Honey Trehan. Bhardwaj has stepped in the director’s shoes following creative differences with Trehan. Bhardwaj said he had previously worked with Irrfan in “Maqbool” and cannot wait to work with him again.Deepika is beautiful and talented and she is also one of the highest paid bollywood actress in Bollywood. “With Irrfan Khan, I am doing a full feature film after a very long time. After ‘Maqbool’, I have worked with him briefly in ‘Saat Khoon Maaf’ and ‘Haider’. So I am quite excited that I am getting to do a full film with Irrfan, where he is playing a protagonist,” he added. He was speaking at an event, last night. In the past, there were also some rumors about Deepika and Ranveer split. But now everything seems to be fine between them. Movie name not decided yet. ?